When we hear that someone has been moved to a dangerous table it usually means one packed full of aggressive pros. It's the table itself that is causing the problems in this instance though as a model from Walmat has the potential to cause serious injury. 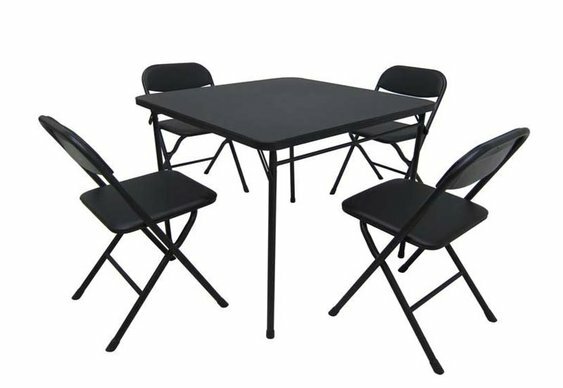 According to the United States Consumer Product Safety Commission, the Mainstay five-piece table and chair set in question “can collapse unexpectedly, posing a fall hazard and a risk of finger injury, including finger amputation”. Ten people have reported injuries resulting from collapsing chairs thus far with one unlucky person needing a finger amputation. Three others have needed fingertip amputations with sprained and fractured fingers also amongst the casualty list. The retailer has recalled 73,400 units of the offending items. Customers who bought the set, which retailed for $50 between March and November 2013, are advised to return it to Walmart where they will be eligible for a full refund. It certainly gives being snapped off a whole new meaning!